In China Shenzhen, sharing bicycle is getting popular. Population in Shenzhen city currently is having another choice to fulfill transportation needs. The city is well equipped with convenient public transport such as MRT, buses, taxi. However there are some short distance blind spot within housing estate which people had to rely on walking. With the help of latest technology and innovative move, I had seen 4 companies in China has setup a sharing bicycle platform business model start from year 2016. With minimum rental charges, you could just occupied the share bicycle and start moving within the city freely. The concept of sharing bicycle is not new concept however the concept gets exploded with the help of latest mobile technology. Currently I notice 4 companies participate in Sharing Bicycle Business Platform, namely Mobike, Bluegogo, Ofo and XiaoMing (小鸣). Please have a quick glance some summary. How to Enjoy Share Bicycle in Shenzhen? 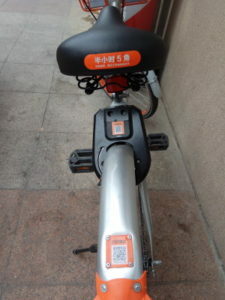 4 bicycle sharing platforms are independent to each other. This means you have to register in individual platform before you could enjoy the sharing bicycle. After you register in respective Bicycle Sharing Platform and pay the deposit, you are required to top up a small amount for the rental for every cycling. Once you everything set, now you are on your way to enjoy the sharing platform. 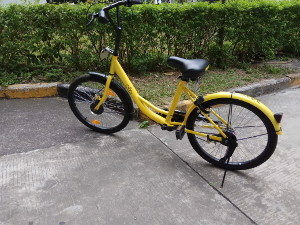 Once the bicycle is locked means you had stop using the sharing bicycle. The system will automatic calculate the amount for the service. What is Unique for Sharing Bicycle Platform? 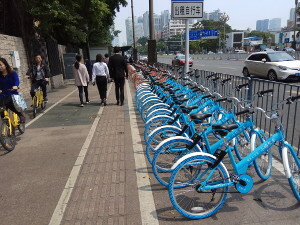 More important, Shenzhen has high population living in the city and they need the share bicycle platform to ease their short distance transportation needs. Sharing Bicycle Platform definitely is a new business model, it definitely will have to improve with people more awareness, ethic and caring behavior. On the other hand, the sharing kind of business model may eventually lead the market to setup a personal credit-ability scorecard. I am here to see what is the market may adopt after the sharing bicycle business model is established. This entry was posted in Uncategorized. Tags: innovative business, sharing bicycle, shenzhen.